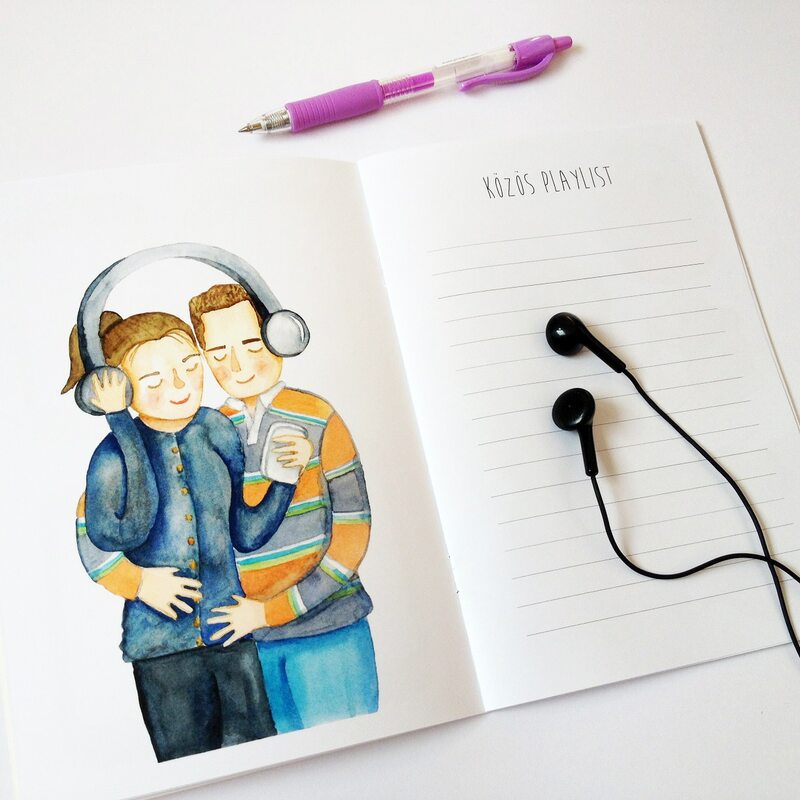 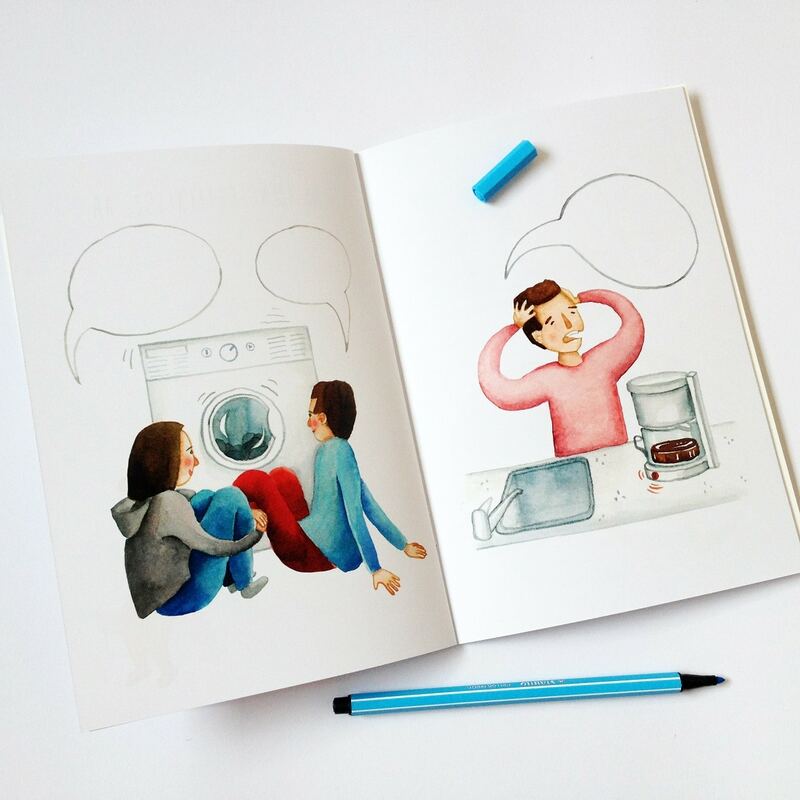 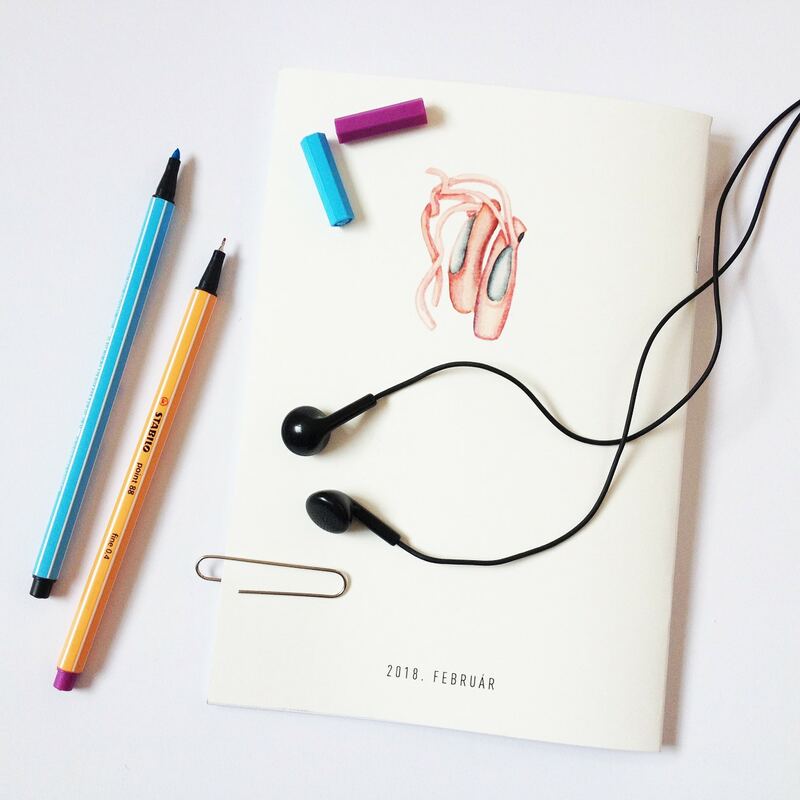 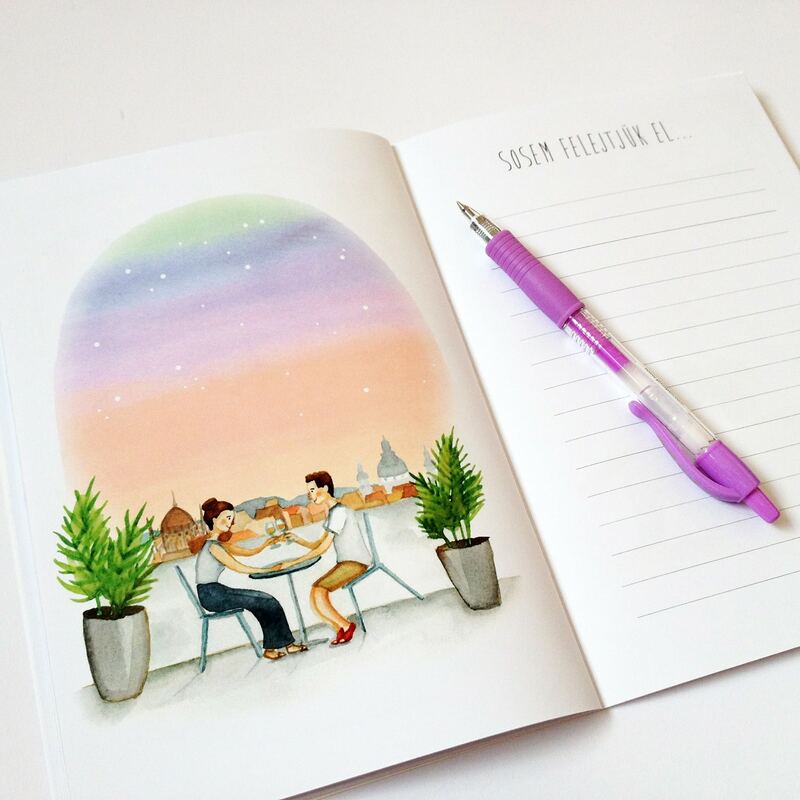 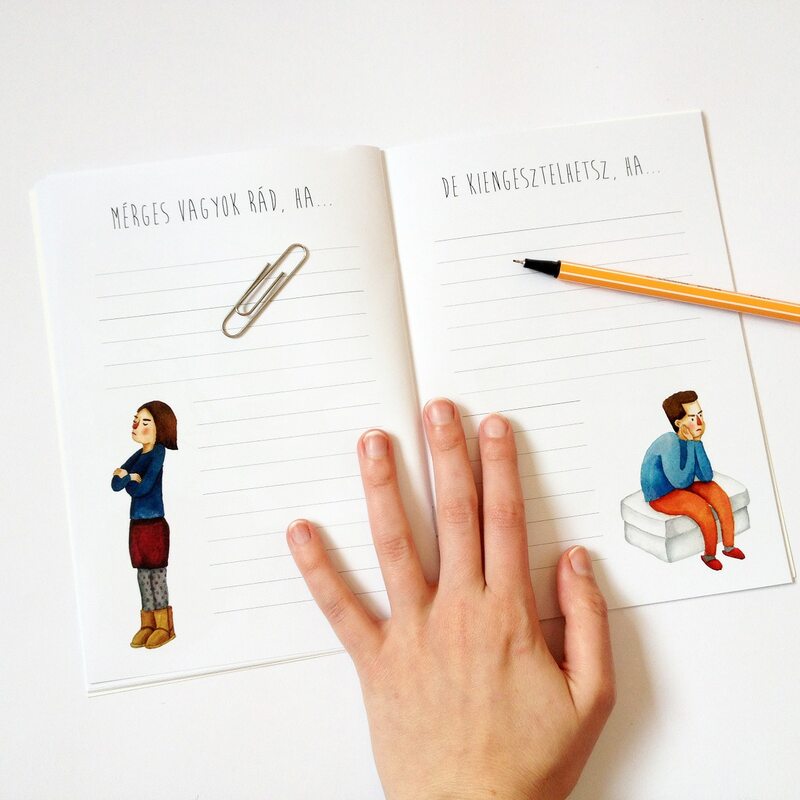 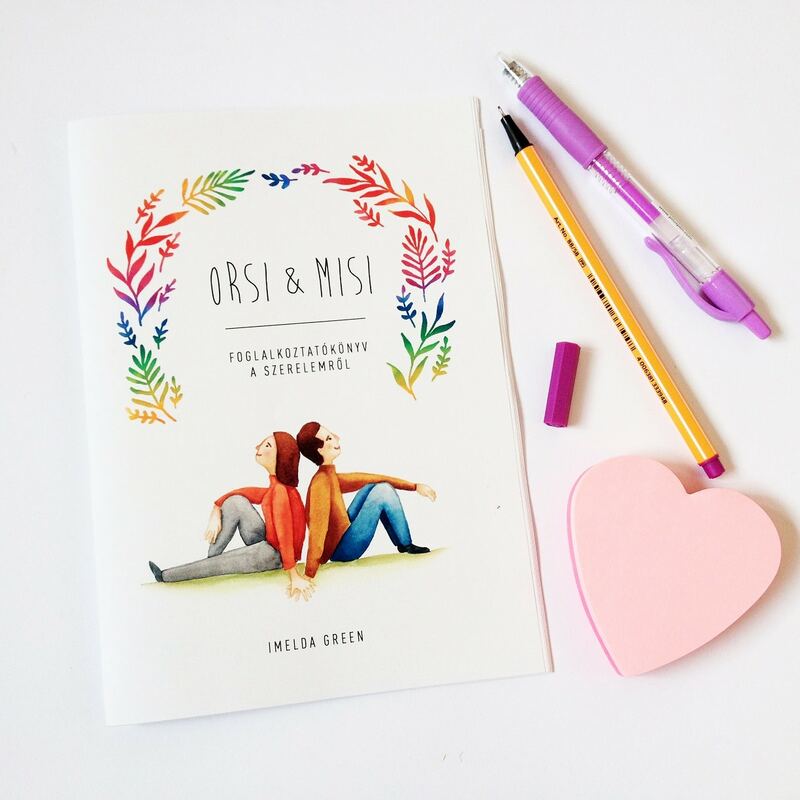 The Exercisebook About Love is a self-initiated project, which was a present to my partner. 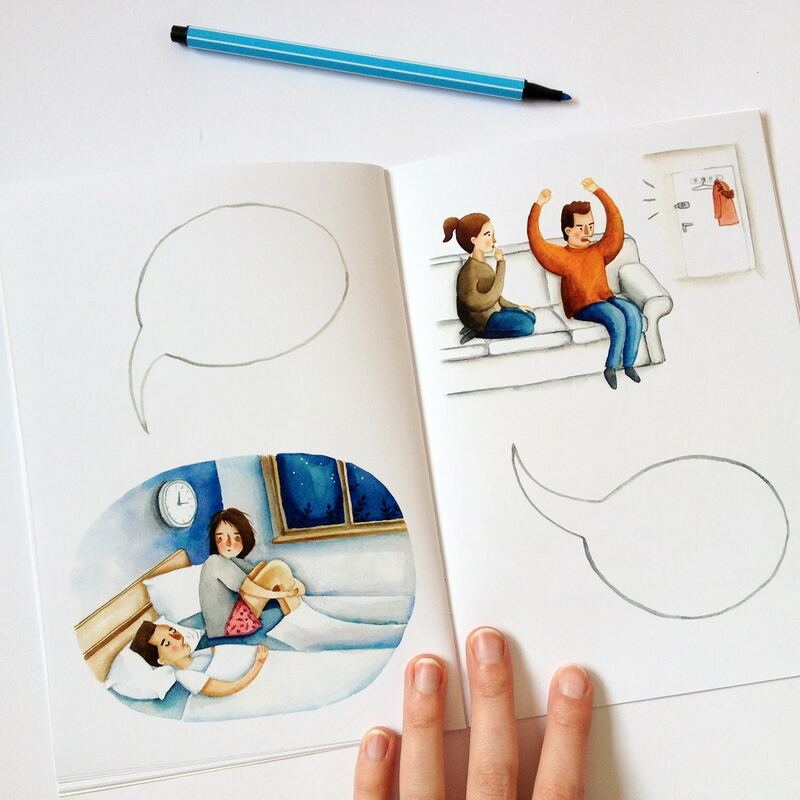 I had been illustrating certain moments of our life together, until there were enough paintings to form a little zine. 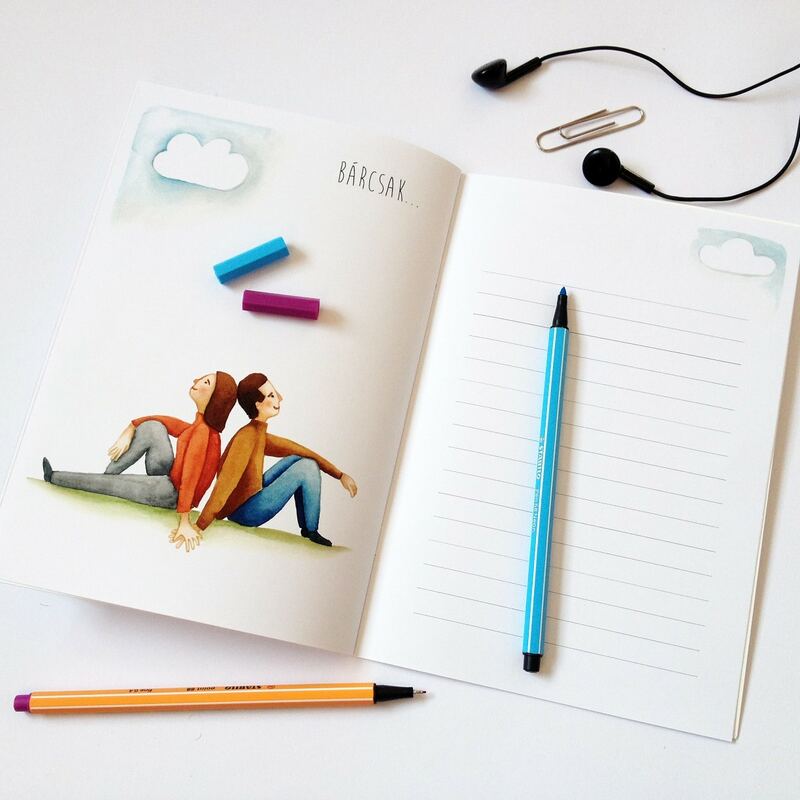 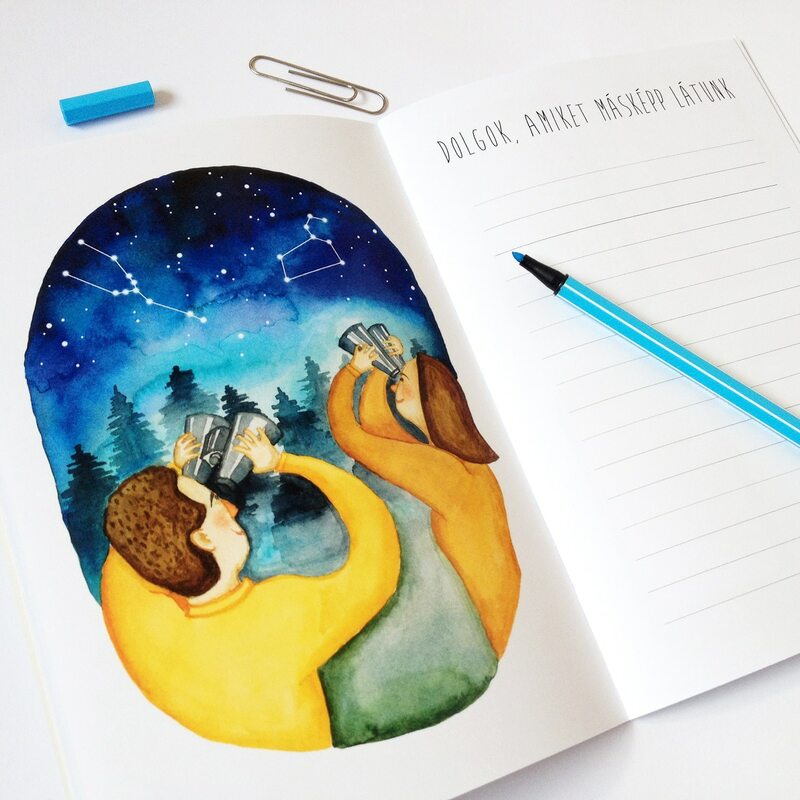 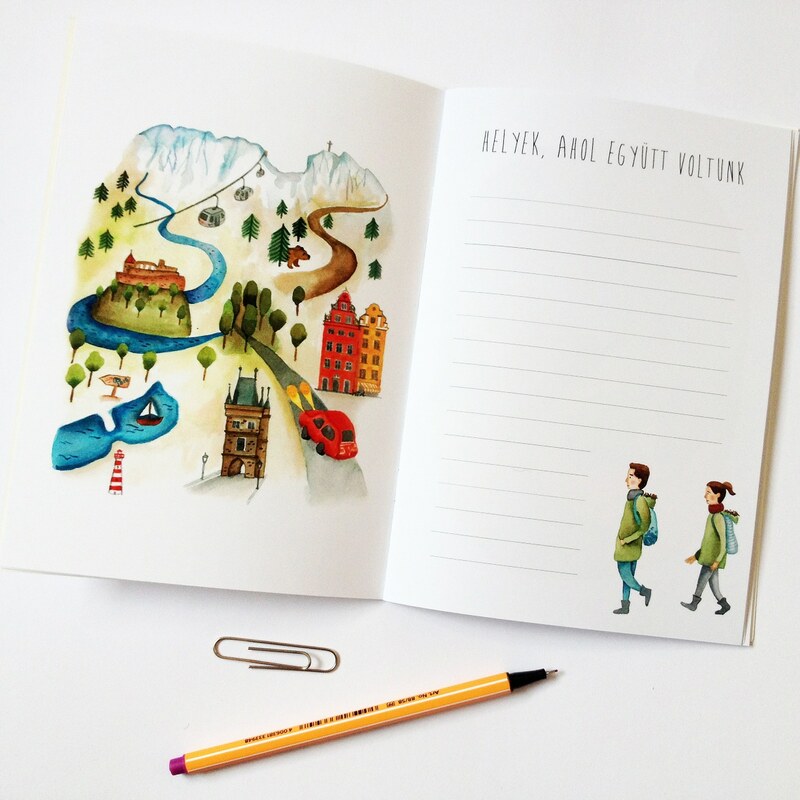 However, it is not merely a picturebook, but a kind of journal, in which we can record moments that are important to use: like places we’ve been to together, sweet messages or a playlist of music we both like.